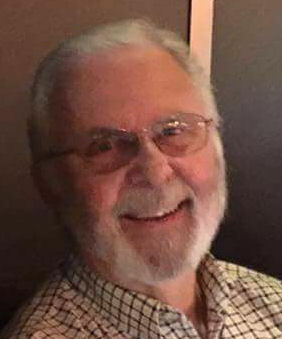 Daniel Timothy “Tim” Cooper, 73, of Chickamauga went home to be with the Lord Sunday July 15, 2018. He was a lifelong resident of North Georgia and a member of Peavine Baptist Church and Battlefield Parkway Church of Nazarene. Tim had a servant’s heart and lived to serve the Lord. He loved ministering to others and volunteering at Memorial Hospital for over 10 years. Tim was a member of Pipeline Quartet, Heritage Quartet, and the Tri-State Gospel Music Hall of Fame. He loved fishing, camping, off-roading, hotrods, drawing, and spending time with family and friends. Tim was a proud veteran having served in the U.S. Air Force during the Vietnam War. He was preceded in death by his parents Earl and Ruby Cooper and sister Sally Martin. Survivors include his loving wife of 48 years, Dianne Cooper, son Benjamin Jeffrey (Tammie Denise) Cooper, daughter Amy Lauren Cooper, sister Carolyn Hill of Ocala, FL, grandchildren Jacob Cole Elliot and Luke Anthony Elliott, and several nieces and nephews. Funeral services will be held 1 PM Wednesday with visitation 11-1 PM at Battlefield Parkway Church of Nazarene with Pastor Joe Brown officiating. Interment at Peavine Baptist Church Cemetery. The family will receive friends 4-8 PM Tuesday at Heritage Funeral Home & Crematory, Battlefield Parkway.